Vinyl floors, most often used in offices and apartments in Singapore, need different cleaning methods than those used for tiles and concrete. Here are tips on how to make the task easier. 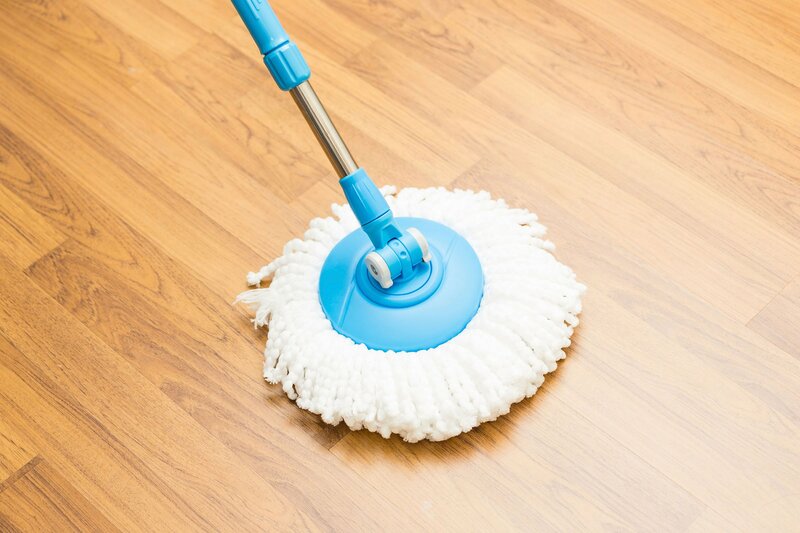 Regular vacuuming and mopping alone will make your vinyl flooring last long. However, you need to schedule a thorough cleaning once a week to make sure that no dirt or dust has escaped your notice. Most commercial cleaning products made for vinyl floors are safe to use, but if you’re worried about its effect on your children and pets, you can use an apple cider vinegar and water solution as substitute. The most effective way to keep the dirt from your vinyl flooring is to place a doormat near entrances. Dirt can cause scuffs that might remove the finishing on the vinyl, causing it to look dull. Chemicals that are brought in by people’s shoes from outside can also cause discoloration. Hot water might remove some of the bacteria on the floor, but it can make the vinyl floor look dull. Use lukewarm water only when mopping or cleaning with damp rags. When mopping or wiping, do not drench the vinyl because the water can work its way in between the cracks and edges that could loosen the glue that hold the vinyl. There are polishing products that claim they are safe to use on vinyl flooring, but they tend to leave a film on the material that will build up over time with continued use. If you need to shine the vinyl, you should substitute wax products with a few drops of baby oil in the water and vinegar cleaning solution. 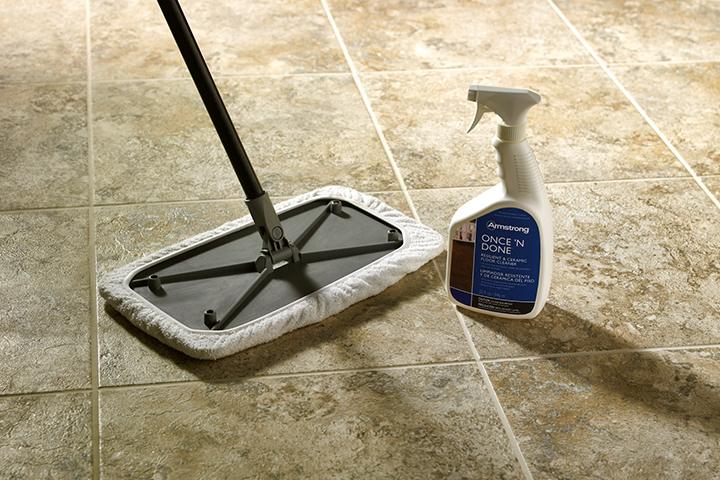 Older vinyl flooring, however, need waxing after washing with warm water and mild detergent. 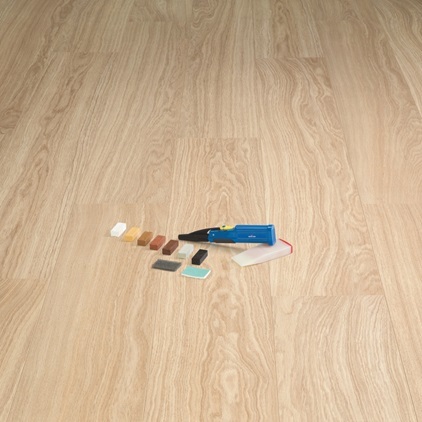 Most modern vinyl flooring are no-wax types and require a different cleaning product than the older types. Some types of stains cannot be removed easily with soapy water alone. Stains from paint, ink, lipstick, and crayons can be removed using rubbing alcohol. While stains from tomato sauce, wine, ketchup, and fruit juices can be removed with a mixture of water and baking soda. Scuffs are marks caused by grazing or scaping on the vinyl surface. High-traffic offices are prone to this, but don’t worry, because these can be removed by rubbing a penetrating oil or spray lubricant on the scuffs until they are no longer noticeable. Then, remove the residue from the oil or lubricant using a water and vinegar solution. Good news though, vinyl flooring is as tough as ceramic tiles and can withstand most abuses even in a high-traffic office. However, stains need to be cleaned as soon as possible so that they don’t leave permanent marks on the vinyl. Next story Do You Have Difficulty Concentrating?